U.S. Senator Tim Kaine (D-VA) will share his thoughts and the lessons he has learned during an extraordinary political career—one that began as a Richmond City Council member and brought him to the national stage—when he headlines the Loudoun County Chamber’s next Leadership Series event June 26. Kaine served as Virginia’s lieutenant governor from 2002-2006 and as governor from 2006-2010. Then was elected to the U.S. Senate in 2013 and was the Democratic nominee for Vice President in 2016. 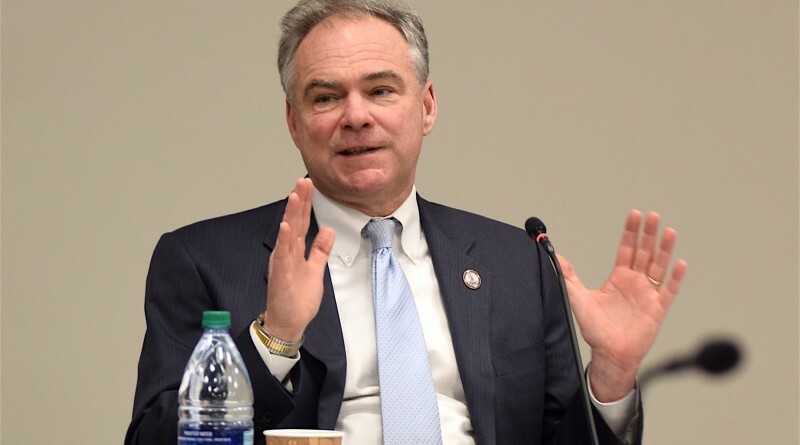 In the Senate, Kaine’s committee assignments place him in the middle of some of the highest profile policy debates, including health care, the armed services, international relations and the budget. The cost of the luncheon program at The National in Lansdowne is $50 for Chamber members and $75 for non-members. Register at loudounchamber.org.